The most hydrophobic coating ever created! SONAX CC36 Ceramic Coating is not a wax or paint sealant. In fact, it's much different. This two-stage coating blankets your vehicle's paintwork in a flexible shell of extremely glossy protection that lasts years, not months. 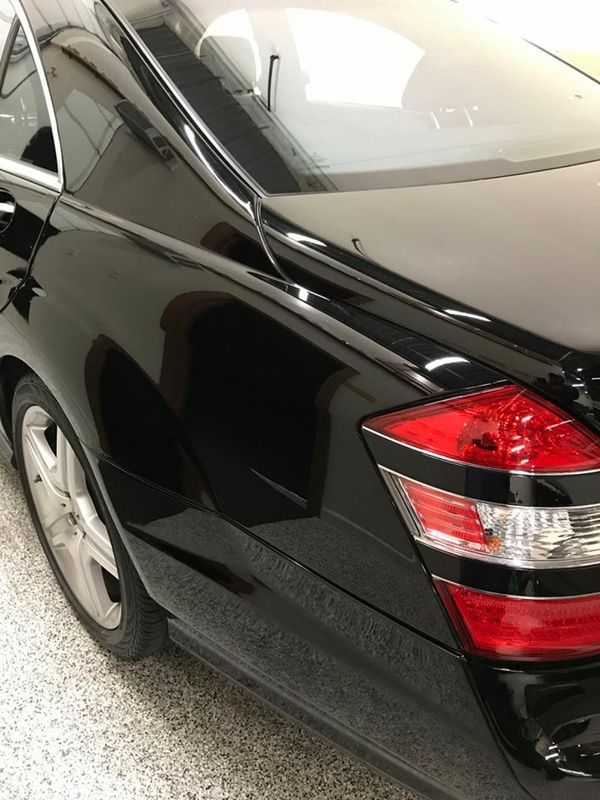 Compared to a conventional wax or paint sealant, SONAX CC36 Ceramic Coating provides superior gloss and better resistance to environmental impacts such as bird droppings, water spots, car wash scratches, and more. SONAX CC36 Ceramic Coating is for the person that wants the best protection for their vehicle! SONAX CC36 Ceramic Coating is the most advanced surface care enhancement product to ever come from Germany. 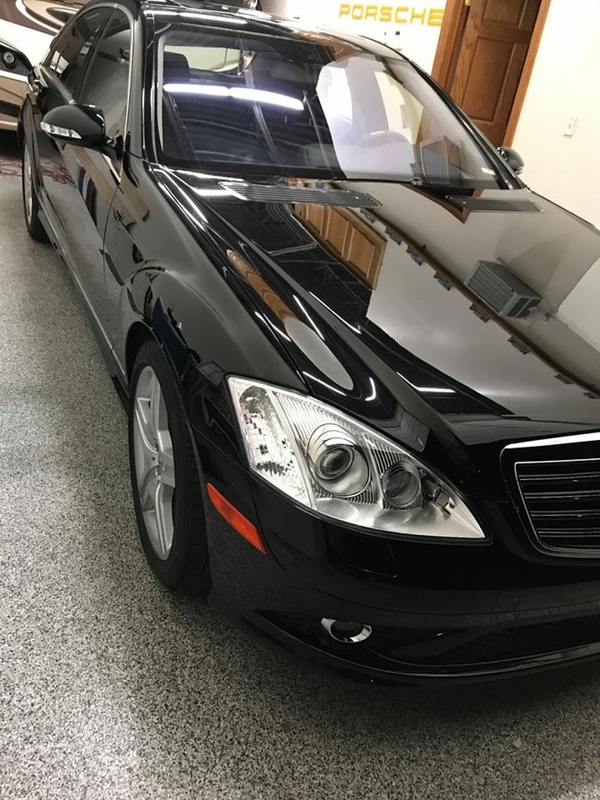 Here's what SONAX CC36 provides: incredible gloss, sheeting that is out of this world, superior longevity to any wax or sealant, and ease of application. SONAX CC36 Ceramic Coating will redefine how you detail your vehicle. SONAX CC36 Ceramic Coating is an all inclusive kit that requires no special training or equipment needed to apply. Even if you are not a professional detailer, you can certainly achieve professional results with SONAX CC36 Ceramic Coating. With protection that lasts up to one year, SONAX CC36 Ceramic Coating gives you peace of mind. Rather than having wax your car every 2-3 months, simply take care of the existing coating and you're surface is glossy and protected! Don't leave your vehicle unprotected simply because you think you're not ready for a coating. SONAX CC36 provides durable protection, and insanely gloss finish, and can be applied without special equipment. Extend the life of both your paint AND its shine with SONAX CC36 Ceramic Coating. Using your preferred method, thoroughly clean the paint and polish with a machine to a high-gloss finish with no swirls or holograms. The surface needs to be absolutely clean before SONAX CC36 Ceramic Coating is applied. Using the enclosed applicator labeled 1, apply SONAX BaseCoat (1) in a thin layer. For sensitive paint surfaces, the enclosed Microfiber Cloth can be used wrapped around the applicator. Treat a small surface area using a criss-cross sequence. Allow to dry for approximately 30 seconds to 1 minute at the most, then wipe the treated surface with a clean microfiber towel to a streak free shine. Repeat this process until the entire vehicle is treated and allow to cure for at least 1 hour - make sure the surfaces are not touched and do not get wet during this curing process. After the prescribed curing time, apply the SONAX GlossCoat (2) to achieve a superior smoothness and deep shine. Spray the product directly onto white side of the applicator labeled 2 and spread over the surface. You can treat areas of a half bonnet in size, which then need to be wiped over with a microfiber towels to remove excess product (drying is not necessary). Do not apply SONAX CC36 Ceramic Coating onto hot surfaces. To ensure a perfectly smooth and even application, working in a well-lit garage is recommended. Within an hour of applying SONAX BaseCoat, missed areas or streaks can be dissolved and removed by applying the product again. The sealed vehicle should not be washed within the first three days after being treated, and when it is washed, do not use a high alkaline cleaner. Do not polish the vehicle after treatment. I would recommend applying the base coat as thinly as possible while getting full coverage with criss-cross strokes. Second, make sure you have daylight without glare. Even the best indoor LED lighting did not reveal the streaking that can occur. This streaking has to be buffed off soon after application or you will have minute streaks that may look like hairline scratches. Do a small section at a time and wipe it off right away (30-60 seconds). From some of the comments, I think people may be applying it way too thickly. If the coating is only a few molecules thick - that which bonds to the clearcoat, then clearly a fat wet sheen is uneccessary. The directions say to use a thin coat. What is in the video actually seems like overkill and will make removal more difficult. Also I was able to finish a small convertible with about half of each can. Finally, the sponge used for the gloss coat is very rough and does not spread the liquid well until it is saturated. Getting it to the right wetness makes application much easier and more consistent. Until then it is coarse and almost feels like it could scratch, although it does not. The slickness is not what I am used to with waxes and some silicone sealants. Anything set down on one of those will slide right off the car. Not with this coating. Although it is incredibly hydrophobic and water just sheets right off. I did not find it to be too much effort. Sure it takes time to do it right, but it is not as scary as some ceramic coatings where a mistake is very hard to rectify. The second coat is easier than waxing the car - it is really just wipe on and buff off. Takes about 30-45 minutes for the whole car. User friendly along with great result. It gives brilliant gloss and paint protection. Just install and wait for one/two hours for curing and you are ready to drive. The hardest part about applying this CC was of course all the preping required. Once I did a wash, Sonax fallout cleaning, clay pad, mild polish, and ipa wipe down I was ready to go. I watched Sonaxâ€™s video to learn the system and everything went as expected. The only slight drawback to this kit is the two step process is time consuming. But the fact this kit has everything you need to coat the car cancels out that drawback. Iâ€™m going to purchase some Sonax seal and rinse for maintaining it, I also may try polymer netshield to maintain it too. ConsTwo steps can be a little time consuming. I purchased the kit to treat an 1980 Volvo Bertone. After I finished sealing the top of the car, roof, trunk and hood I only had a tiny bit of sealant left, but a lot of primer. 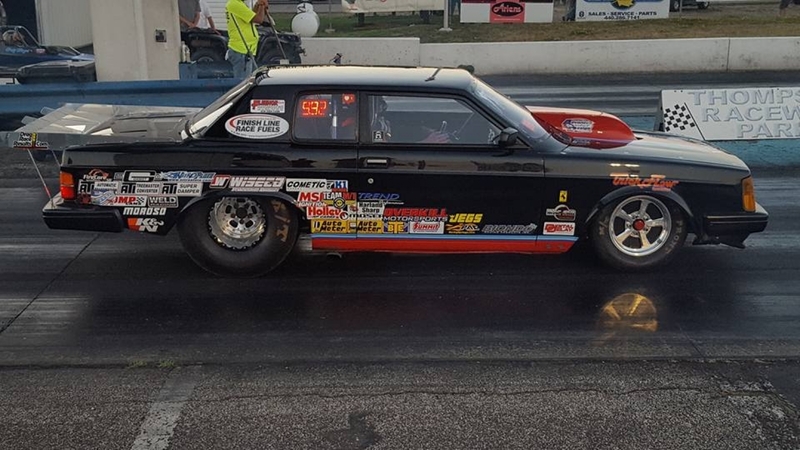 I would have to order a new kit to finish the car! I feel ripped off!!! I wouldn"t recommend this product as most of the other ceramic sealers cover two to three cars!! Why sell a kit that won"t cover even a small car???!!! By far the best ceramic coating I've used in terms of easy application and very noticeable shine. This is a two-step process/application which at first I wasn't too enthused to use since it may take longer than most ceramic coatings, but after watching the video, I decided to ordered it. The key for any detail job is the prep, clay bar your paint, remove your defects and swirls by properly polishing your paint. 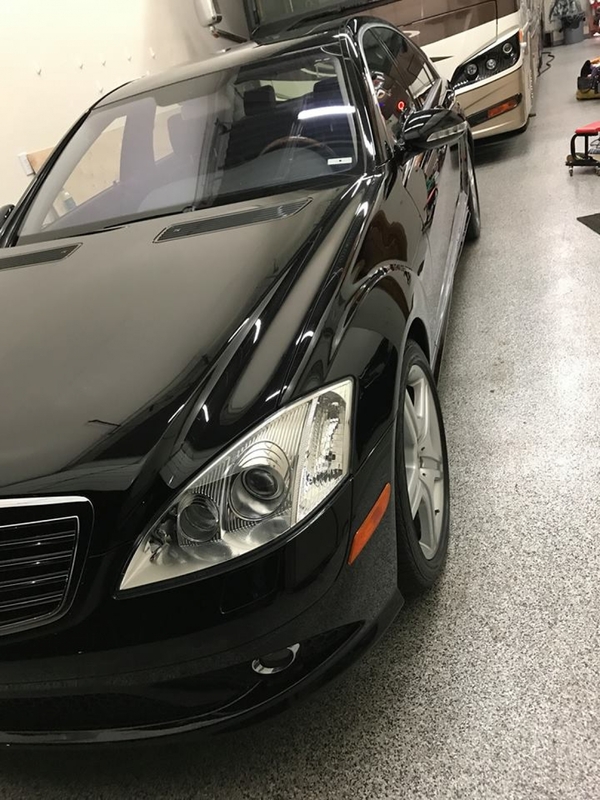 I applied this product on a black Mercedes Benz, clay bar, polish with Menzerna Heavy Cut 400 using a Cyan Lake Country Hydro-Tech 5.5 x 7/8 Inch Foam Pads, and wiped down with Adams ceramic prep cleaner. The first step on the ceramic application is the base coat. This one you have to do it a small section at a time and giving it about a mijnute or so before buffing it with a MF towel. This step is a bit more forgiven than most ceramic applications and it won't flash on you as quickly. The second step is the gloss coat. This is step was fun to apply, it lays down almost like wax, it spreads nicely and you can do a bigger than 2"x2" area. In the video it shows you the two applicator pads numbered 1 and 2. The results were amazing. My client was blown away! ConsI've noticed when I was ready to apply the Gloss Coat that it had leaked some product inside the package. My immediate concern was that it has lost its aerosol capabilities, but I tried it out and worked just fine. I've ended up just with enough product to finish the car, I was hoping for two applications out of it I reported the incident to Autogeek Customer service, just to let them know with photos documenting the issue and they were very kind in sending me a replacement kit. This is the type of customer service that has made me an Autogeek loyal customer for 13 years! I do appreciate that kind of customer service even though I've never asked for a refund or replacement, but the did send me a new kit anyway!